That's Peachy | Award Winning North East UK Fashion, Lifestyle, Beauty Blog: Look Incredible Deluxe Beauty Box - The One You Don't Want To Miss! Look Incredible Deluxe Beauty Box - The One You Don't Want To Miss! 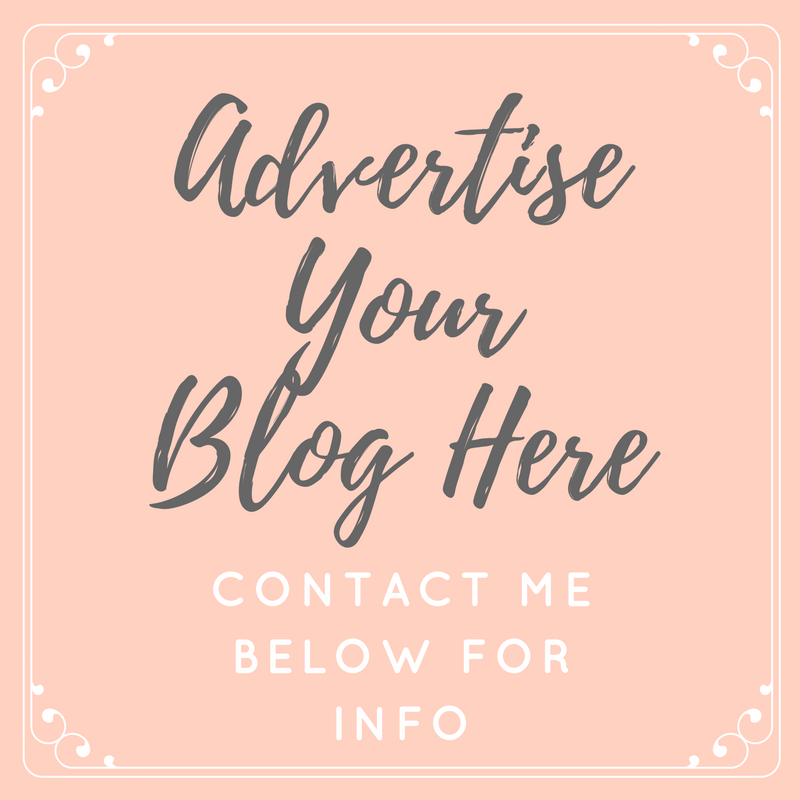 I will be the first to admit that beauty boxes and beauty box blog posts can be a little bit boring, but trust me on this one; I have found one that you don't want to miss! Everything is full size, yes that's right, no sample sizes, no minis or travel sizes and the brands included are seriously amazing, I'm talking Too Faced, Armani, Benefit & bareMinerals to name a few that have been included recently. For £35 per month the Look Incredible Deluxe Box will be delivered to your door with postage via the Royal Mail's tracked service included, ensuring you will be able to see when your box is going to arrive. This months box in particular is worth £89.50, which goes to show how good value for money they are, however if you find the price a little steep, there is a regular box available for £18.99. I have loved every single product from the September box and after photographing them, I couldn't wait to give everything a try. 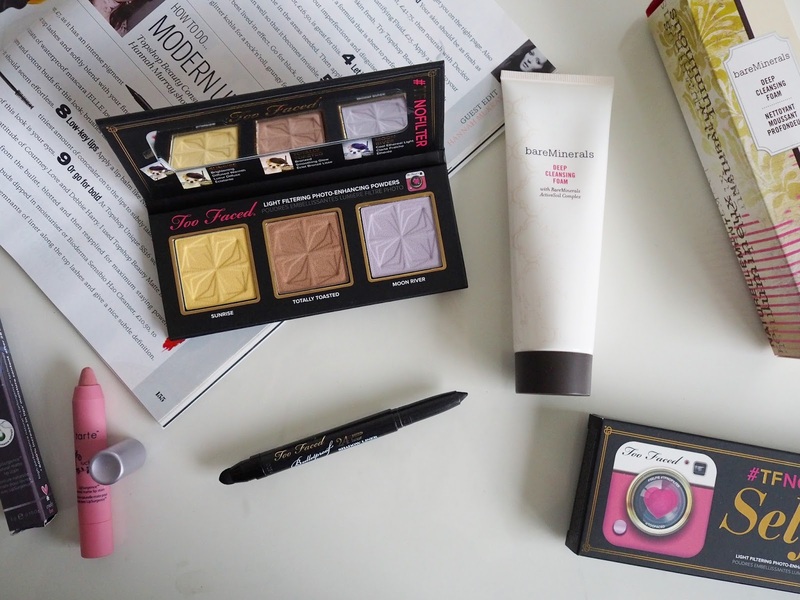 The box includes two products from Too Faced; a brand which I have always wanted to try, but had never managed to and products from two favourite bands of mine' bareMinerals and Tarte. 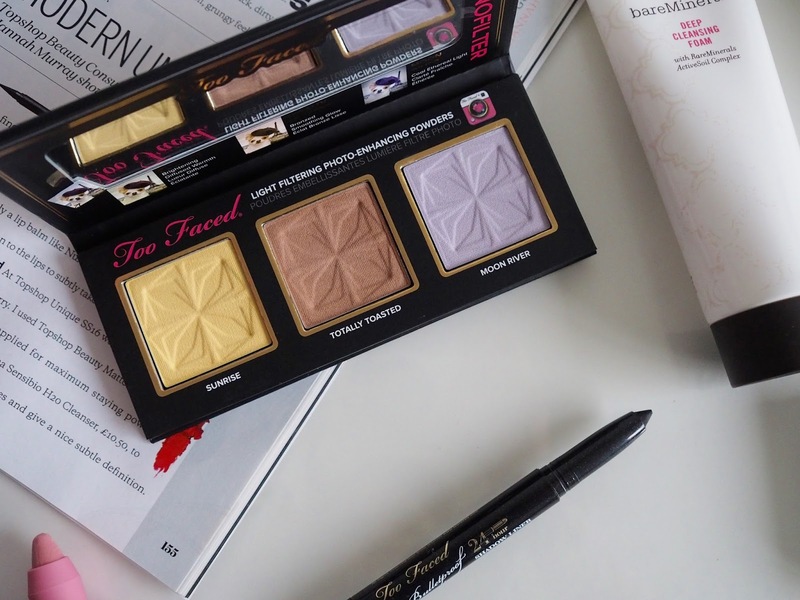 The product which excited me the most is the #TFNoFilter Too Faced Selfie Powders palette not only because of how beautiful the powders are but because I had never tried anything from Too Faced before, despite always wanting to. For a brand which had been so highly anticipated by myself, I wasn't disappointed. The powders are light filtering, photo-enhancing powders made to make you look your very best for every photo opportunity. 'Sunrise' is a yellow shade used for brightening, 'Totally Toasted' is a bronze shade for warming the complexion and 'Moon River' is a lilac highlighting shade. All three powders are really soft and have an almost creamy texture to them and they apply on the skin so smoothly, creating a really flawless finish. 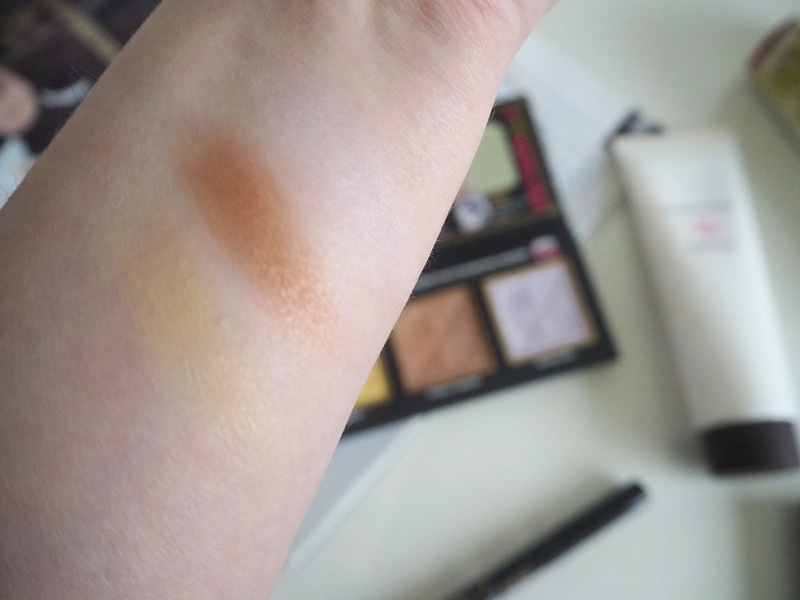 As you can see in the above swatch, the bronze is the most pigmented and the lilac is quite hard to see, however on the cheekbones and inner corner of my eyes it's a really pretty colour on my pale complexion. Worn on top of my foundation and used as finishing powders I love the effect they give off, it's not an exact colour payoff but more of a light filter on the skin - they've done so well jumping on the Instagram/Selfie bandwagon with this palette and although they don't perfect the skin as well as the golden butterfly filter, they really do make a difference. All in all, I'm really impressed with this palette and it's definitely got me wanting to try more from Too Faced; I can definitely understand what the hype is all about! 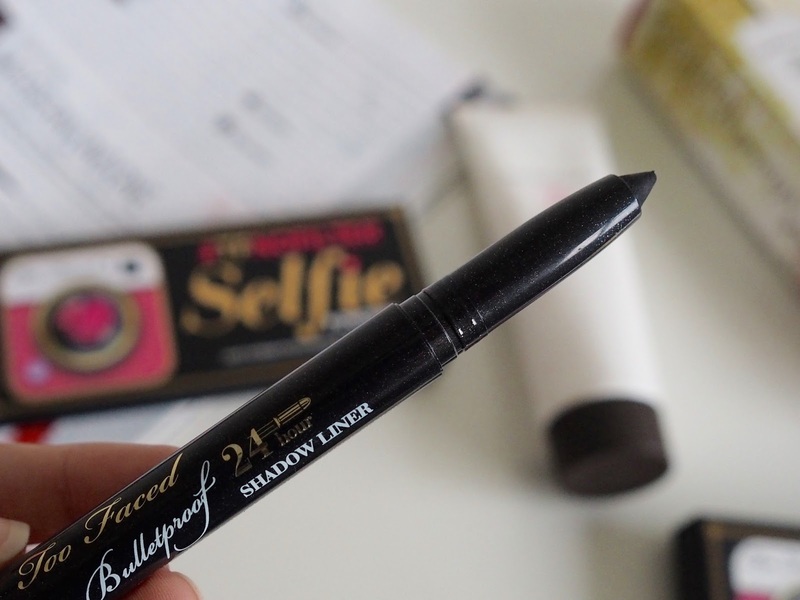 Lucky for me, I got to try another Too Faced product, the Bullet Proof 24 Hour Shadow Liner. 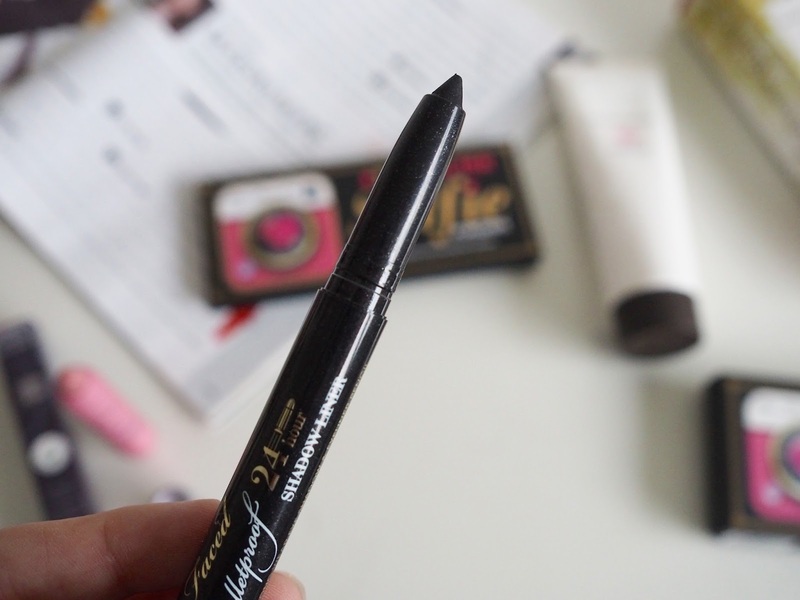 The liner itself is a highly pigmented black shade with a slight shimmer to it, making it really pretty on the eyes. It blends out really easily and most impressively is really long lasting. The name suggests 24 hour lasting power - which I haven't tried out, but I can say that even on my oily lids it doesn't go anywhere. I even struggled to get the swatches off my hand! 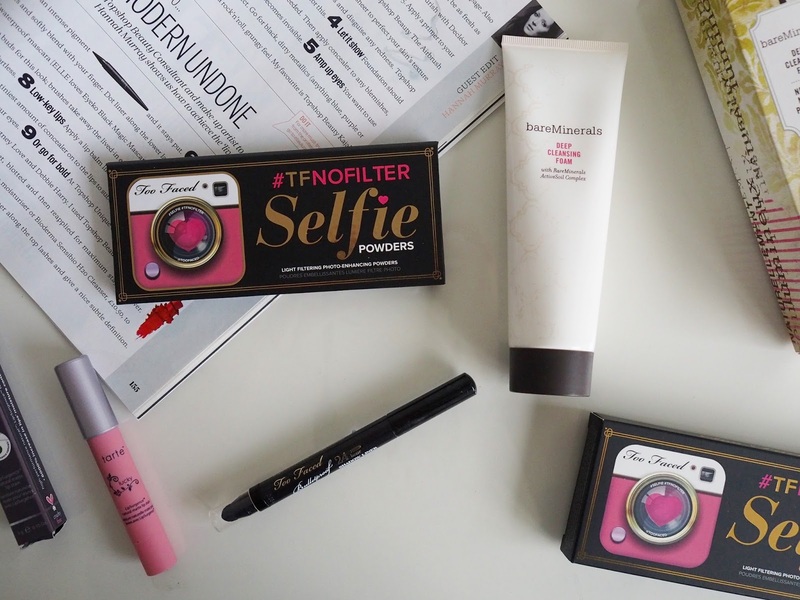 Another big thumbs up to Too Faced for this product... Seriously I need everything from their collection now! 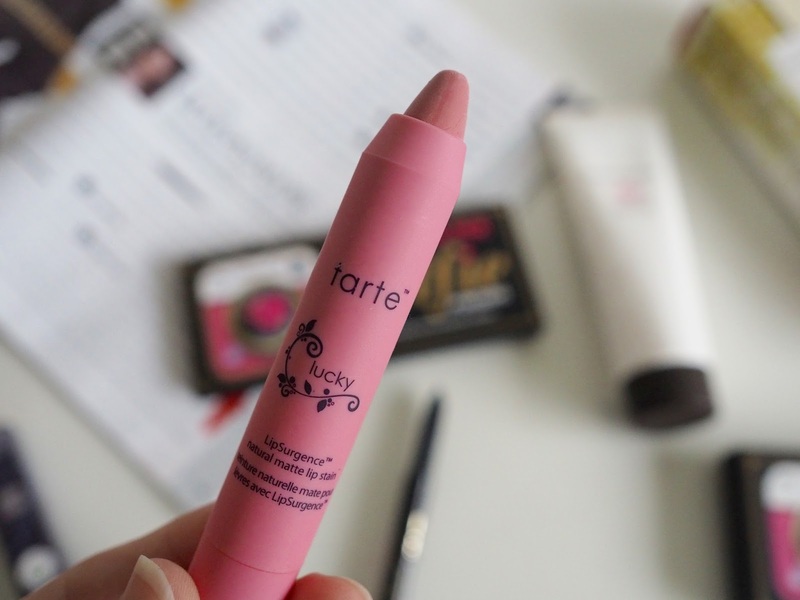 I have dabbled with some Tarte products in the past, but I've never used any of their lip products, so I was pretty excited to see their Lipsurgence Natural Matte Lip Stain in 'Lucky' in the box. I initially thought the colour may be a little too pale for my personal taste, but as you can see from the swatch it's got a slight brown undertone to the pink, which makes it a much more wearable shade for Autumn. I was also pleasantly surprised that despite being a matte lip colour, it adds some real moisture to the lips. It also contains peppermint oil which not only helps the colour to glide on smoothly, but means it smells incredible. 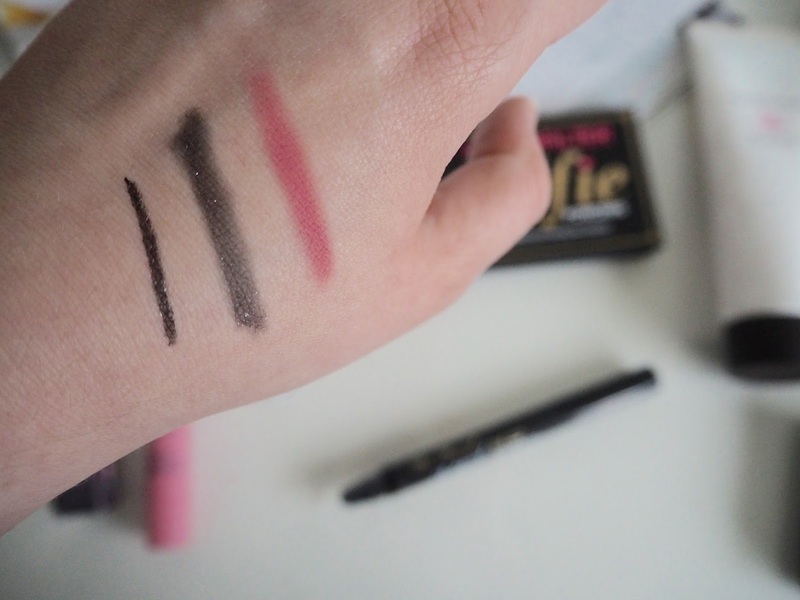 As a fan of lip crayons for the ease of application and the fact I can throw these in my handbag, I would definitely try more of these, the colour range looks lovely. Lastly, I was so happy to find the bareMinerals Deep Cleansing Foam in the box. I'm a huge fan of bareMinerals makeup and skincare but hadn't used this before. It's a none drying formula which starts off as a cream consistency before lathering up on damp skin, removing impurities and any traces of makeup as it works on deep cleaning the pores. As with all of the other bareMinerals skincare products I have used, this really suits my sensitive skin thanks to ingredients including grapefruit, elderflower, rosemary extracts and mineral-rich sea salts which not only work to soothe but also leave my skin feeling refreshed, very clean and somewhat glowing. This has been the best beauty box I have ever received, I love all four products and I've been introduced to a new brand that has greatly impressed me. If you like the look of the Deluxe Beauty Boxes you can preorder the October box now.